Is Friday evening and I’m enjoying writing this post for you! 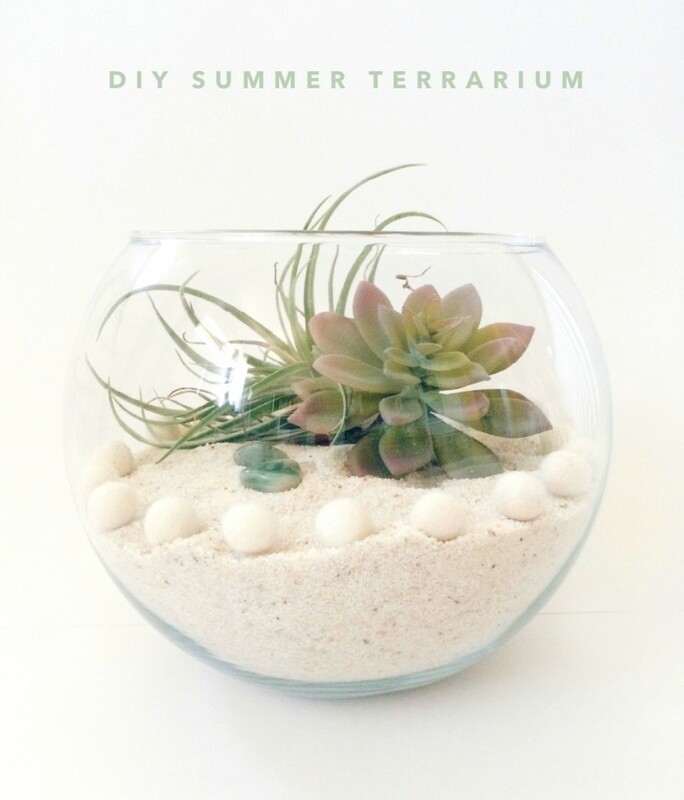 Please take a look below at the series of photos with steps showing you how I put my summer terrarium together. 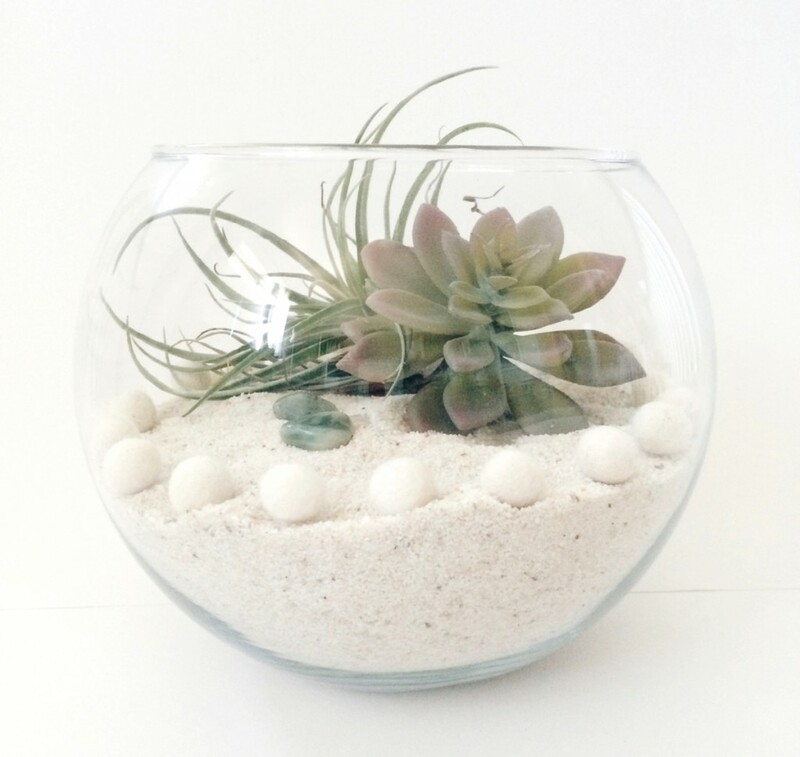 Add 1.5 bag of sand inside an 18″ glass bowl. Choose between 4 to 6 stones. Choose 20-24 white felt balls. Arrange materials like shown above. Two bags of sand. (I used 1 and 1/2 of a bag total). I found mine at Ben Franklin Crafts. I also found a bigger bag at Amazon. What do you think? I’m loving my summer terrarium! A few posts ago, I put together a terrarium with real plants. It is not super high maintenance, whether this one requires zero maintenance! 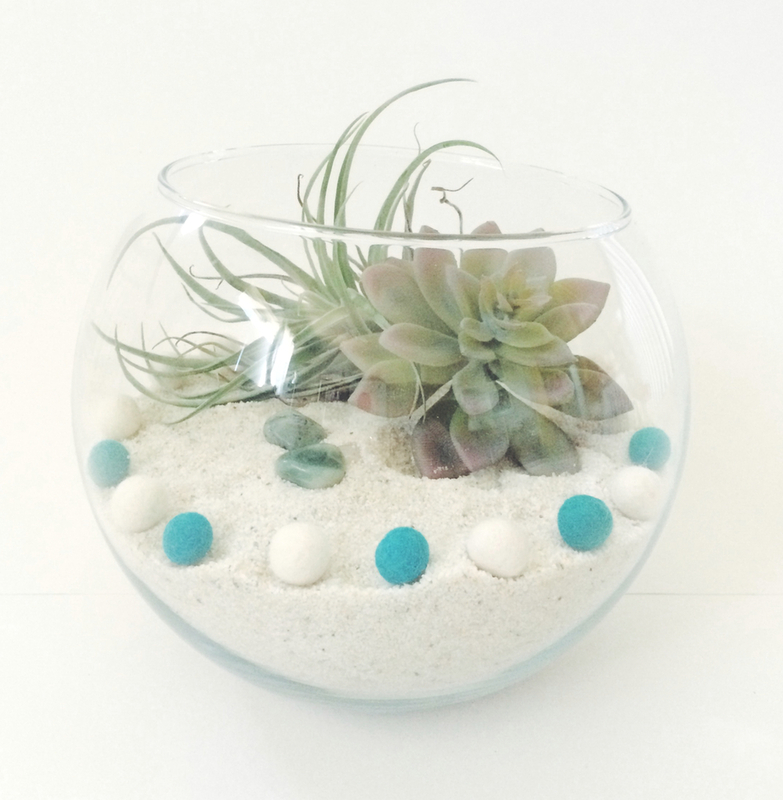 Also, depending on what color of felt balls I use for the “landscaping”, I think my summer terrarium, could adapt to other seasons. Thank you for visiting kraft&mint! Enjoy Summer! Previous Post Giveaway! Win my first DIY KIT to create an infinity leather scarf! Thank you Diane! I will grab a button :) yay!!! I love this…so simple but looks gorgeous!